This morning the National Zoo announced the sad news that Tai Shan, DC’s beloved baby Giant Panda, will be returned to China early next year. Most in DC have loved the little guy since before he was even born. We helped to name him (remember? Tai Shan, meaning “Peaceful Mountain,” was chosen — “Butterstick” wasn’t a choice), and have thoroughly enjoyed cooing and awww-ing at his antics for the past four years. He certainly learned early on how to please a crowd! It’s always great to watch him react to crowds reacting to him. The Zoo has, let’s face it, made quite a bit of dough out of this love affair, but they’ve also done a lot to make them more accessible and give them a better habitat to live in. Now that winter’s coming on, the pandas’ activity level will be increasing (please let it snow! they’re supercharged-adorable in the snow!) — and “early next year” is only a few short weeks away — so it’s a great time to squeeze in one last visit. We love you, Tai Shan, and we’ll miss you! Now, Tian Tian, Mei Xiang, let’s get busy working on another baby before you have to move back to China too! THERE’S NOT NEARLY ENOUGH PARKING: The 20 year plan calls for a parking garage with 1,128 spaces. This will allow the zoo to transform the current 868 spaces of surface parking into new exhibits. 12 acres made up of seven new exhibits in fact. 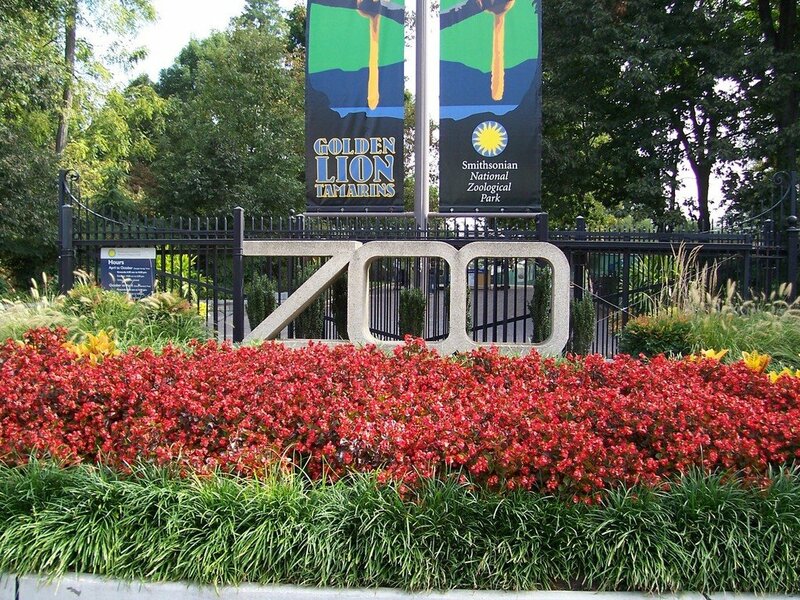 GETTING AROUND THE ZOO IS VERY DIFFICULT: Zoo Executive Director John Berry compares it to “walking the stairs of a 16-story office building.” The park will be adding an aerial tram that will stretch the entire length of the park and feature three stops. IT’S DIFFICULT TO FIND BENCHES, WATER, FOOD, AND RESTROOMS: This also contributes to the difficulties some people have getting around the park because it makes it tough to take a break. Park officials recognize that amenities are clustered and that the park is overall out of date. They will be building new plazas and making amenities available throughout the zoo under the new plan. One footnote on the plan is that it will depend entirely on private donations.